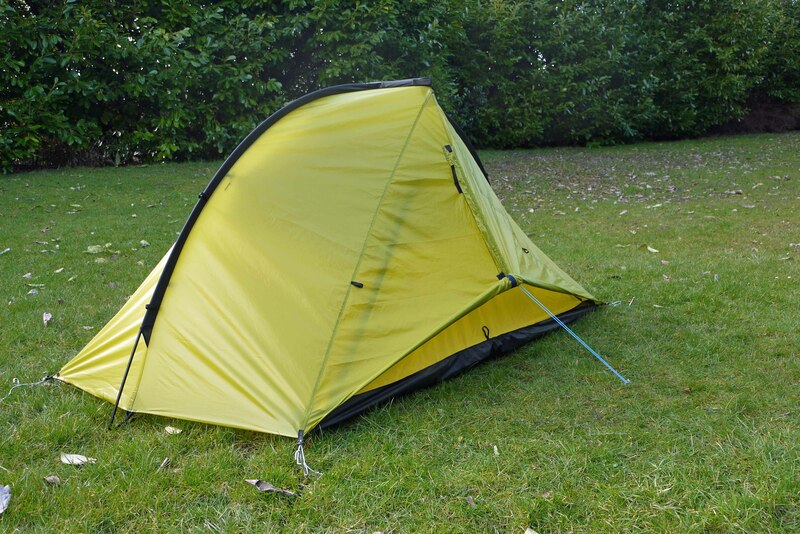 The 2 person version of the Phreeranger sets up using 2 alloy poles. 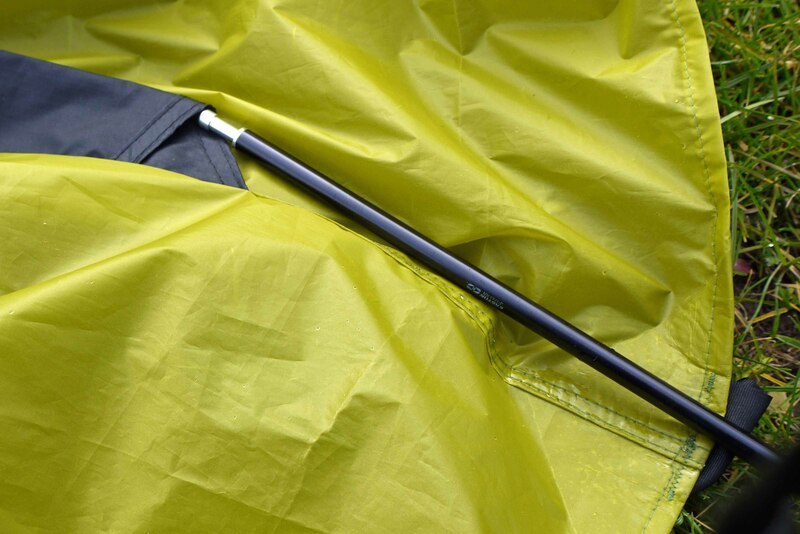 Insert the long pole into the main pole sleeve first. 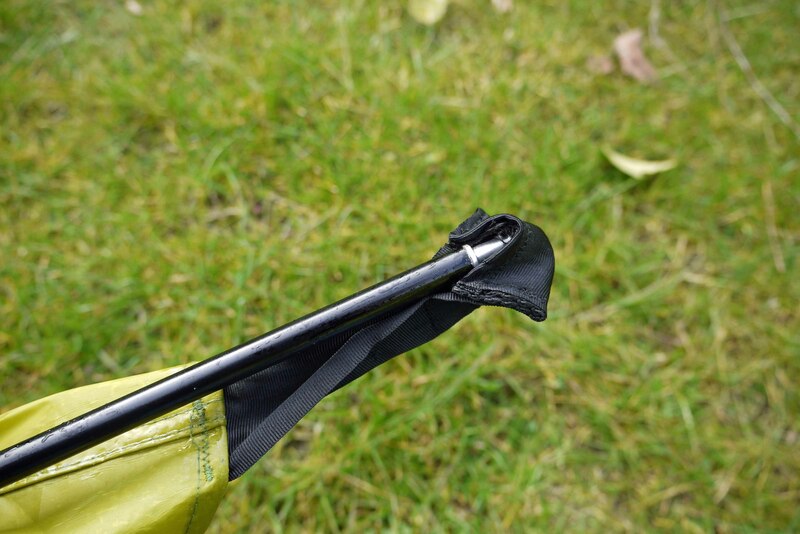 Insert the pole tips into the pole pockets at either end. 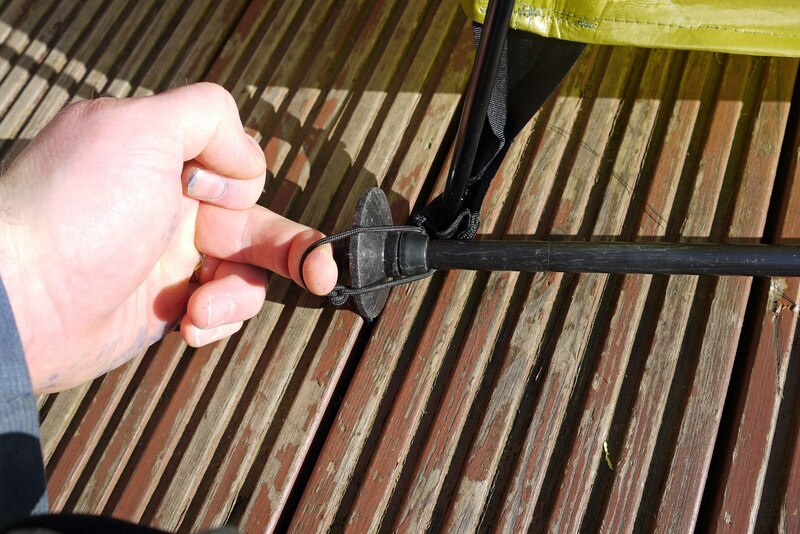 Feed the shorter cross pole into the pole sleeve at the top of the tent and secure it with the velcro strap. 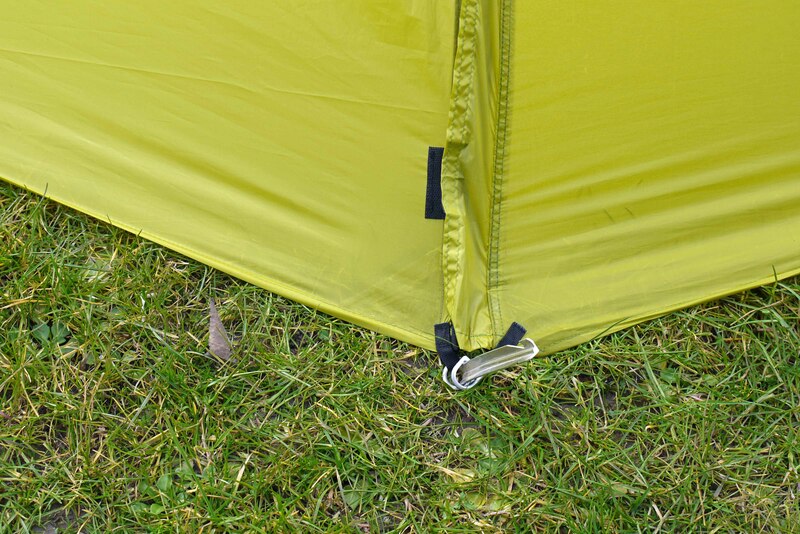 The 4 corners should be pegged first, then the vestibule doors. 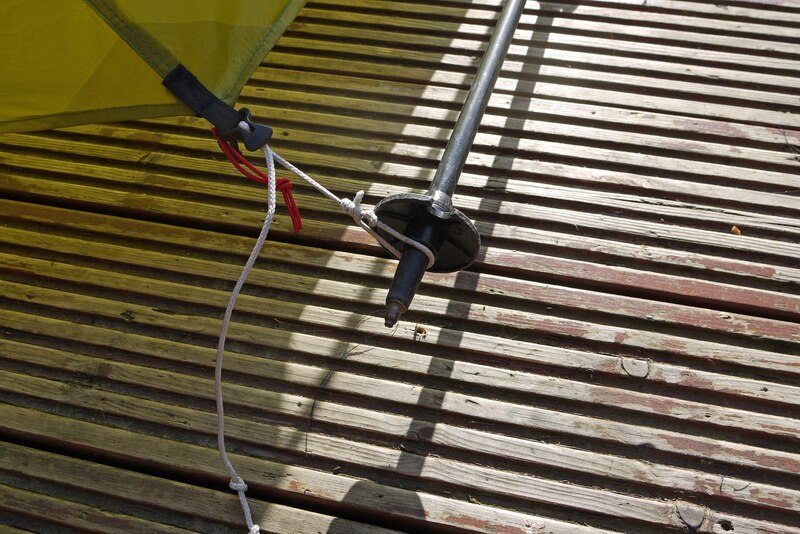 The corners (either side of the main pole) should be angled in slightly, not a straight line acorss the ends. 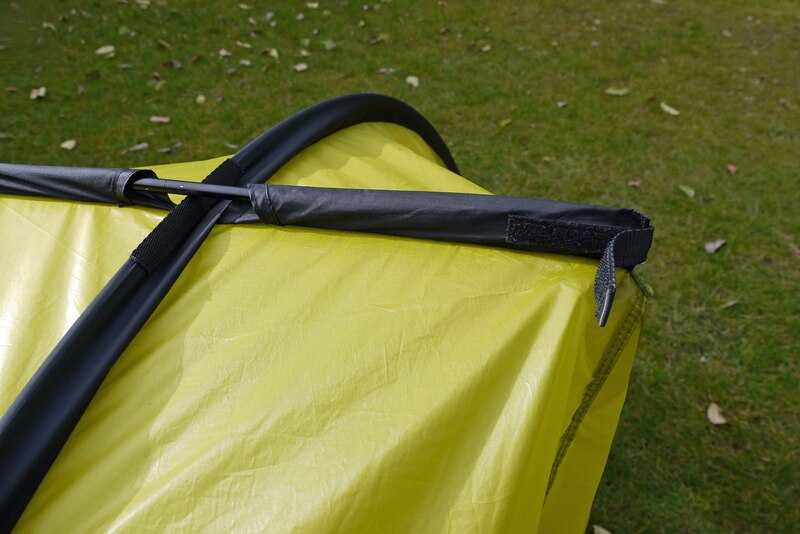 The inner tent floor attaches to the flysheet using the built in glove hooks to cennect to the corner O rings. 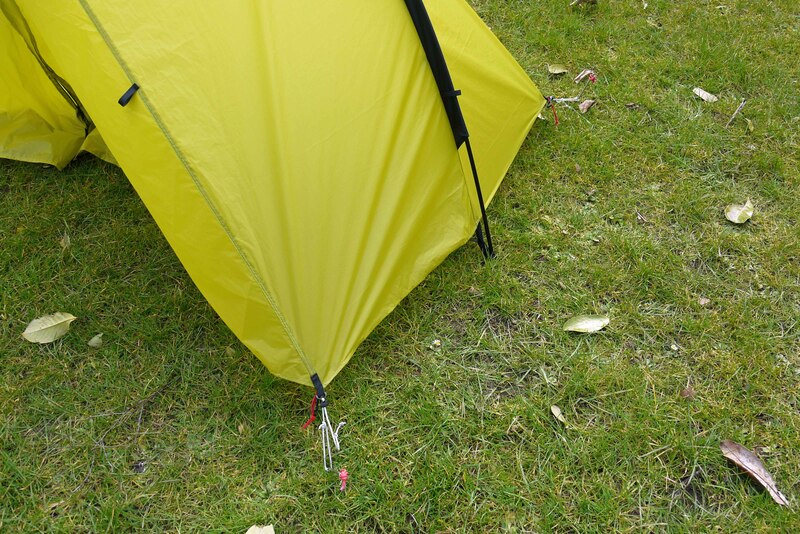 There are 8 internal hangers for the inner tent, the shockcord toggles fit into the O rings in the flysheet and the tension can be adjusted as required. 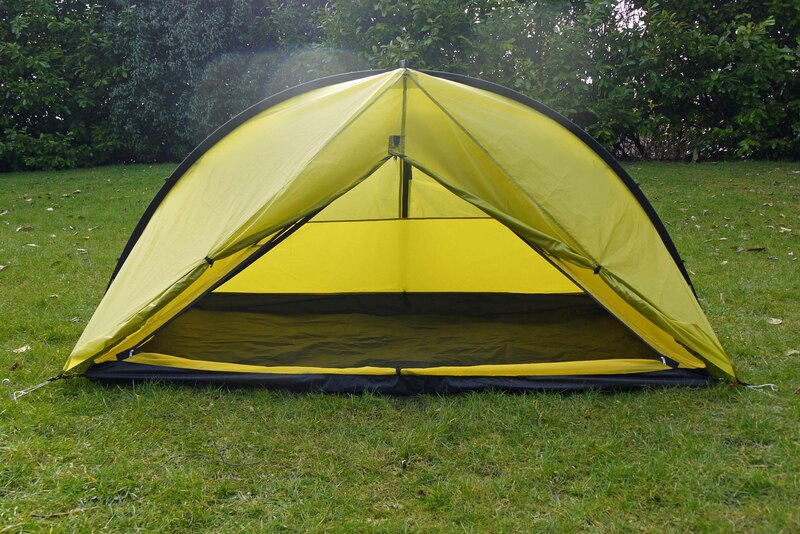 The inner tent doors fold down and can be tied back at the base. 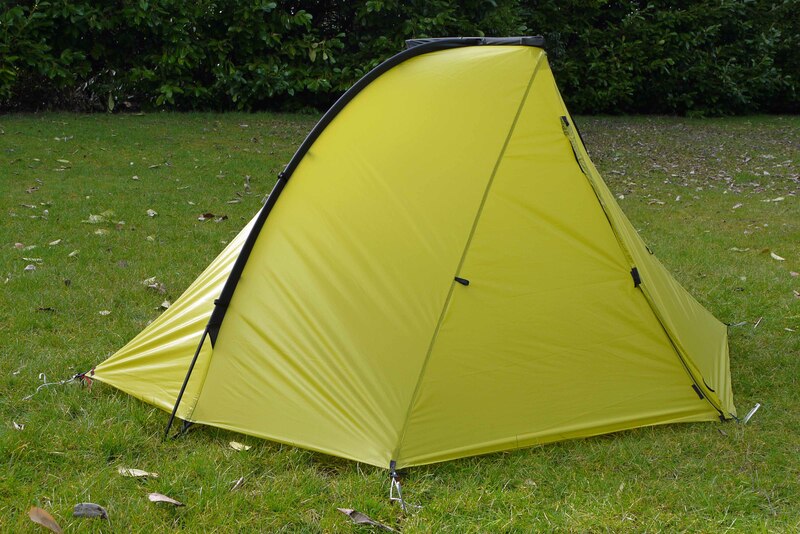 The tent can be set up as semi freestanding using hiking poles. 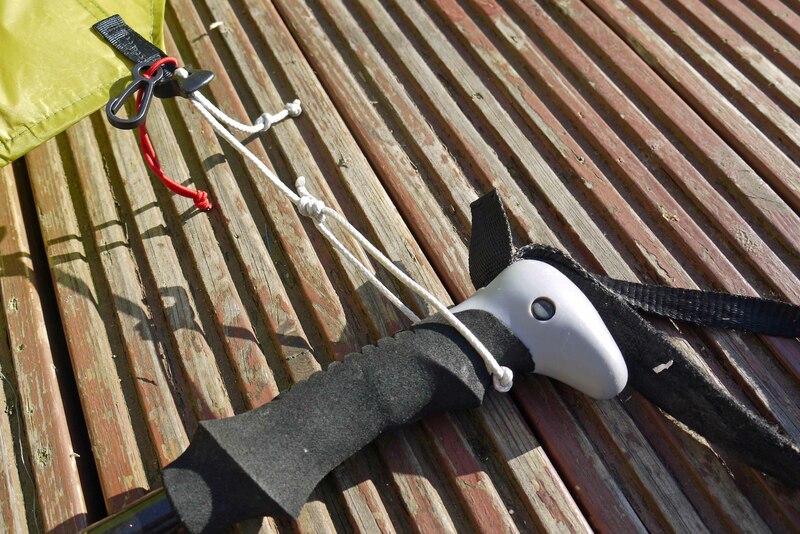 First, insert the hiking pole through the shockcord loop at the main pole sleeve pocket. 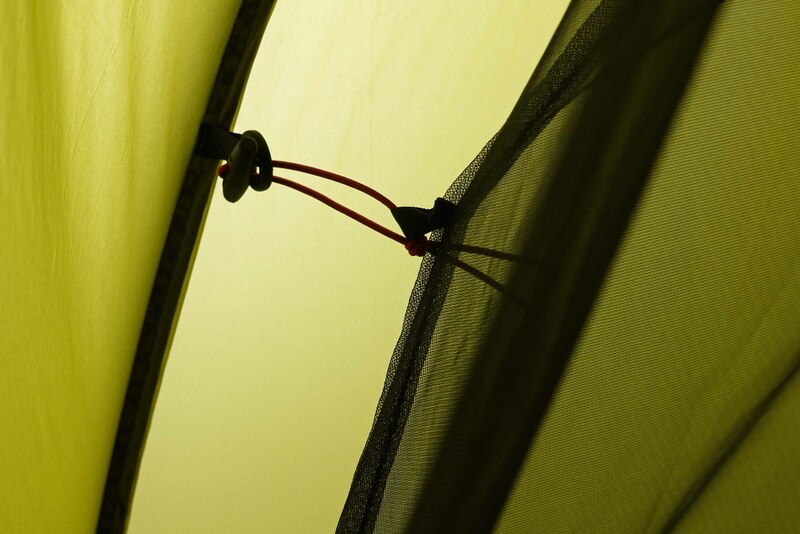 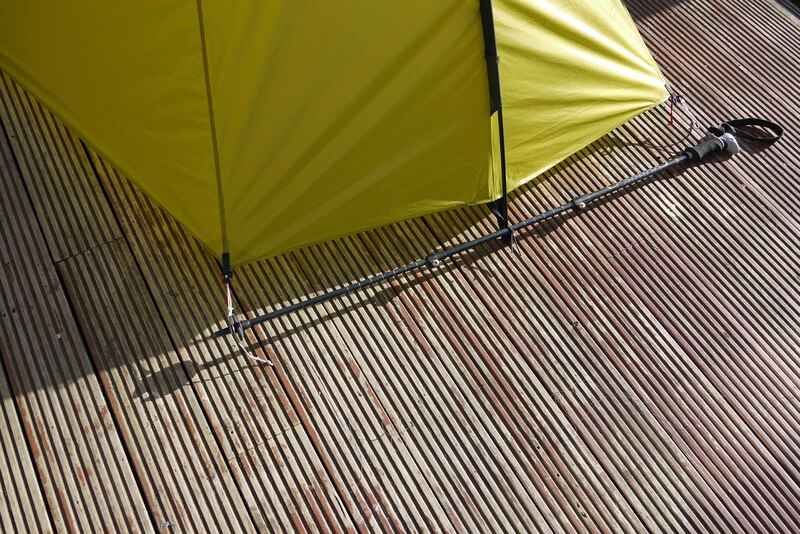 The guylines at the corners have sliding knots that allow them to be tightened onto the hiking poles. 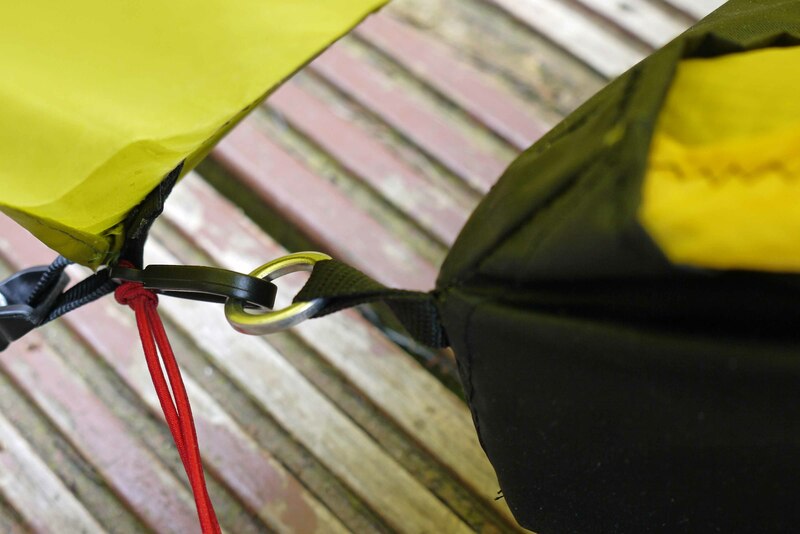 Adjustment can be made using the corner linelocs.